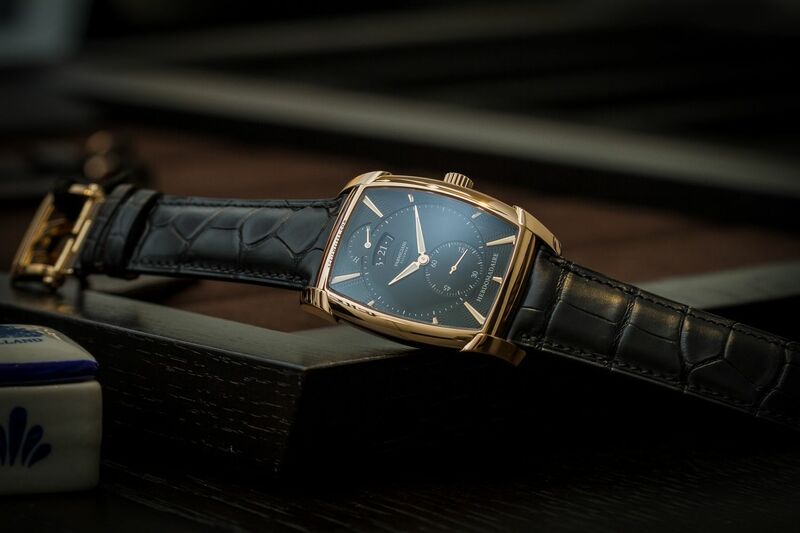 Parmigiani Fleurier launched the new Kalpa Hebdomadaire at SIHH 2018. This model pays tribute to Michel Parmigiani, the founder of Parmigiani Fleurier, who developed his first tonneau shaped movement in 1998. 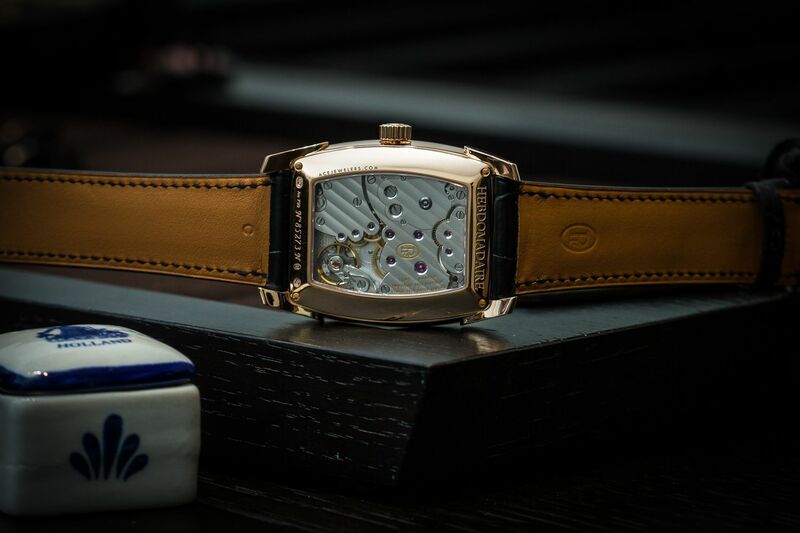 This tonneau shaped model has an 18K rose gold case in 42.3 x 35.1mm. The case thickness is measured at 11.4mm. The black dial with applied index features hours, minutes, small seconds, a date window and a power reserve indicator at twelve o'clock. The watch is powered by a hand-wound movement, caliber PF110, with 8 days power reserve. The movement can be viewed through the sapphire crystal case back. 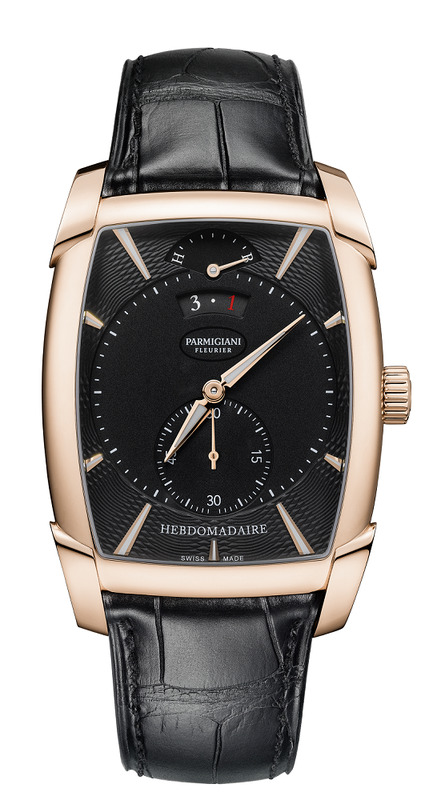 It's presented on a black alligator strap by Hermès with an 18K rose gold folding clasp.